A former school bus driver with NSW regional operator Buslines Group will be compensated after the Fair Work Ombudsman ruled a rural bus ‘depot’ lacked basic amenities. 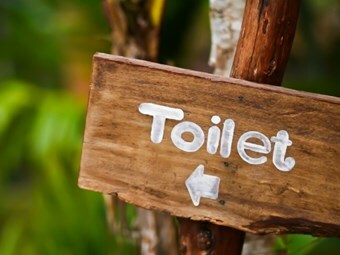 The matter was raised with the Fair Work Ombudsman in 2011 when the driver’s hours were cut after he complained there was no toilet at a rural property used to park buses at Eureka, north-east of Lismore in northern NSW. The Eureka ‘depot’ comprised a large shed on a farm and was not equipped with basic amenities such as electricity, a toilet, hot or cold water for washing, a change room or lockers. After complaining to the company, the driver was re-assigned to a different route and a different depot with reduced hours resulting in a pay cut of $176 a week. According to the Fair Work Ombudsman, when the driver expressed concern about a decrease in pay he was assigned additional hours to clean buses. The Fair Work Ombudsman determined the lack of amenities at the Eureka site breached the Northern Rivers Buslines enterprise agreement, which stated that basic facilities had to be provided for staff at all depots. Buslines Group CEO Peter Ferris says the matter has now been resolved, but questioned the interpretation of what constituted a depot, and what was a convenient ‘parking spot’ for remote area school buses. "Our enterprise agreement didn’t clarify the difference between a depot and a parking shed," Ferris says. "Most rural bus operators have a main depot but park buses all over the countryside, and in this case there were four buses parked at Eureka. "We didn’t consider it a bus depot, but our enterprise agreement didn’t clarify the difference between what is a bus depot and what is a parking shed." The lease on the Eureka property ended on December 31, 2012, and all affected school buses formerly parked at the farm site are now either assigned to depots with amenities, or at driver’s homes, according to Ferris. He says Buslines hadn’t considered the matter as requiring attention prior to the complaint as the employee’s award had been based around amenities more associated with metropolitan bus depot operation. "We never had any thought prior to this on what is a bus depot and what is a parking shed," Ferris says. However, Buslines had now amended its enterprise agreement to cover this situation. "We will still have parking sheds but we will put into the enterprise agreement what is the difference between a depot and a parking shed," Ferris says. "If it’s purely a parking shed it won’t have all the things that were in the old award for a bus depot." Given such clarification wasn’t made or agreed to by its employees at the time of the complaint, Buslines was deemed to be at fault and entered into an Enforceable Undertaking with the Fair Work Ombudsman as an alternative to litigation over Buslines’ adverse action against its former driver. Under the terms of the Enforceable Undertaking, the Buslines Group must pay the driver $2662 compensation for economic loss, formally apologise to the driver in writing, develop processes for ensuring future compliance with workplace laws, arrange professional workplace relations training for the manager and operations manager of Northern Rivers Buslines, and publish a public notice detailing its breaches of workplace laws in the region’s local newspaper. The ombudsman also required Buslines to conduct a self-audit of all of its depots to ensure basic amenities were in place, which Ferris says has been completed and provided back to the Federal agency. "Anywhere we park buses from now on will comply with our enterprise agreements, and will comply with workplace health and safety legislation," says Ferris. He adds the lesson for other bus operators is to be mindful of what the employment agreement states it needs to provide to drivers. "Other operators don’t want to get caught in this situation," he says.